The appearance spotlight of new product SR - TPU light-trucks building machine (Two - stage Process, Uni - stage Building) has attracted the attention of a large number of visitors and potential customers. The characteristics of " Two-stage Process, Uni-stage Building " has made the interpretation of innovation & disruptive" with technological innovation, disruptive, embrace the future . SR - TPU light-trucks building machine can both stitch steel rim on machine drum with technology of turn up and down which in two stage process and uni-stage building , avoiding green tire transfer and manual operation, and improving tire uniformity and dynamic balance. High profile tire building is not available by Uni-stage Building machine but available by TP-U Building Machine. Compare to Two Stage Tire Building Machine, it takes up less space，need less changing of tools during size changing, is more convenient and efficient. 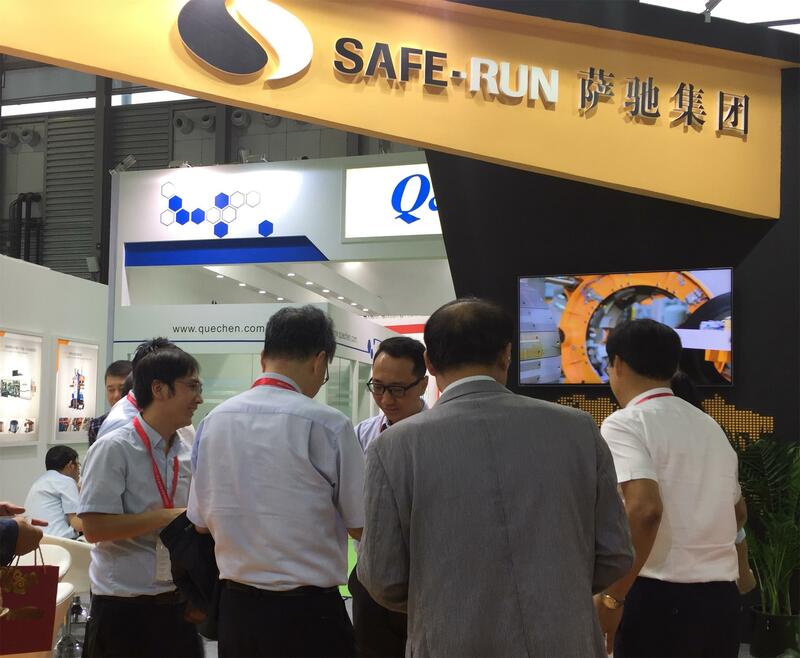 As an innovation leading exploiter in the industry, SAFERUN product technology is on the world's top. At present, the intelligent building machine has been serialized and multi-productized. The SR - TPU light trucks building machine, HPC100 series and HPC200 series single auto stage PCR building machine are mainly exhibited on this exhibition.